Join us for a Facebook discussion on Jennifer Gidley’s book, The Future: A Very Short Introduction at 10am (U.S. Central/5pm European Central) on September 2, 2017. We will stream the chat live on our Facebook page: facebook.com/educationfutures. From the beginning of time, humans have been driven by both a fear of the unknown and a curiosity to know. We have always yearned to know what lies ahead, whether threat or safety, scarcity or abundance. Throughout human history, our forebears tried to create certainty in the unknown, by seeking to influence outcomes with sacrifices to gods, preparing for the unexpected with advice from oracles, and by reading the stars through astrology. As scientific methods improve and computer technology develops we become ever more confident of our capacity to predict and quantify the future by accumulating and interpreting patterns from the past, yet the truth is there is still no certainty to be had. 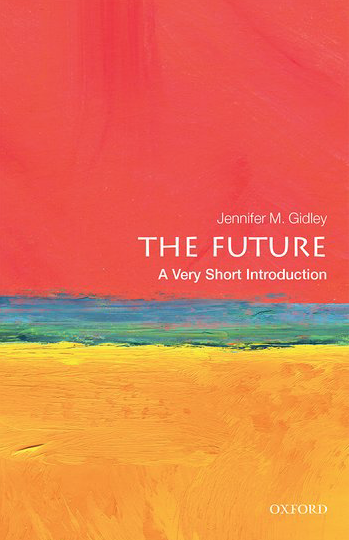 In this Very Short Introduction, Jennifer Gidley considers some of our most burning questions: What is “the future?” Is the future a time yet to come? Or is it a utopian place? Does the future have a history? Is there only one future or are there many possible futures? She asks if the future can ever be truly predicted or if we create our own futures -both hoped for and feared – by our thoughts, feelings, and actions, and concludes by analyzing how we can learn to study the future.